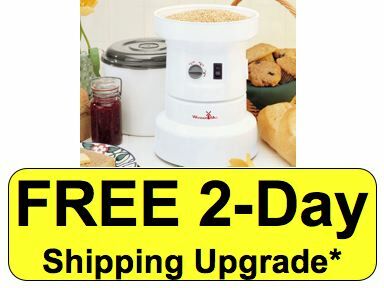 For a limited time, buy a WonderMill grain mill from 9G Health Foods.com and get FREE 2-Day shipping. Mention this promotion in the checkout of PayPal to get the upgrade. Offer valid for USA Street Addresses only.